If we lived in a fair world, Mary Berry (that saucy minx) would be hosting The Great British Bake Off all year round, politicians would speak honestly, and Farm Terrace Allotments would not have had to take their case back to court. The plot holders would be grafting, tilling, sowing and harvesting without threat or worry from political opportunists. 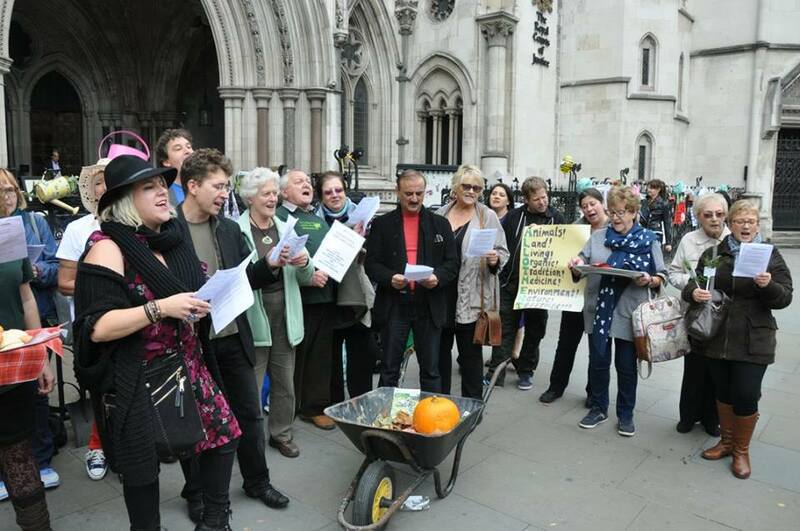 However this is not a fair world and the Farm Terrace plot holders, led by their commander and chief, Sara-Jane Trebar, returned to the Royal Courts of Justice last Friday to plead their case. There is no outcome as yet. 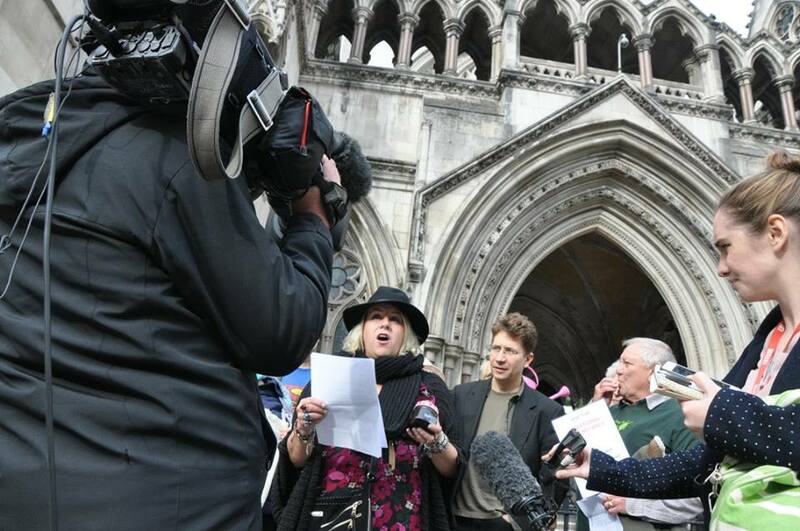 High Court Judge, Beverley Lang, said she would need time to consider her decision, but she would try to reach a decision by eviction day, Friday November 4th. It’s been encouraging to see the support for this case, from fellow gardeners on social media to all the TV and press coverage. Rose George’s recent piece in The Guardian sums up the importance of the Farm Terrace case perfectly. “If we win, we have to work hard to make sure this doesn’t happen again to us or any other site. If we lose, well, we will continue to fight for as long as we can. We are not the owners of our plots, we are simply custodians. 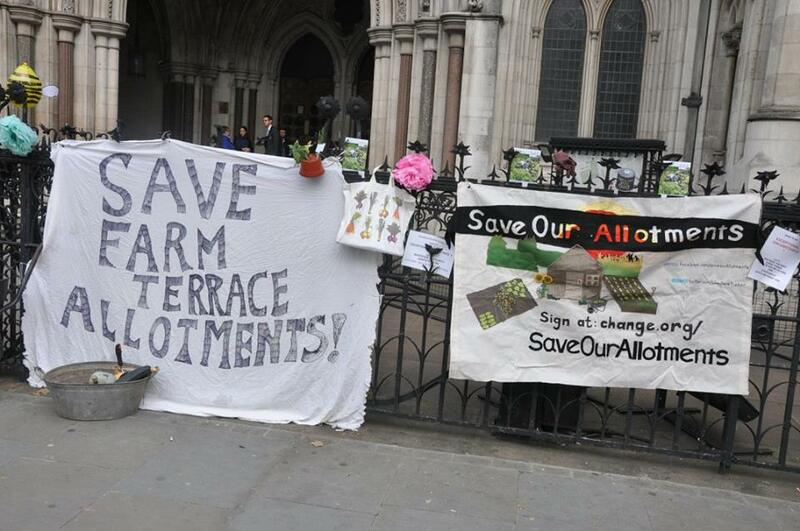 But we will not stand back and let allotments be consigned to the History Books. Oh, fingers (and toes!) crossed.